If you have bought a domain from bigrock(www.example.com) and to map it to blogspot(example.blogspot.com) i.e,www.example.blogspot.com to www.example.com. 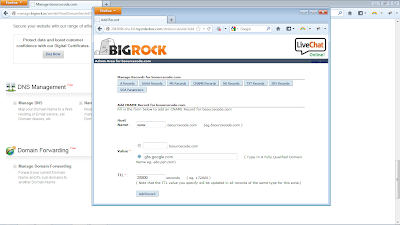 This tutorial will be helpful to transfer the domain name from BIGROCK to BLOGGER domain name. This is only for main domain mapping not for subdomain. 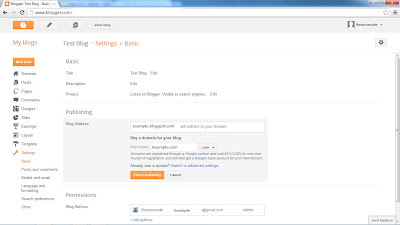 New domain or existing domain This tutorial will support you. 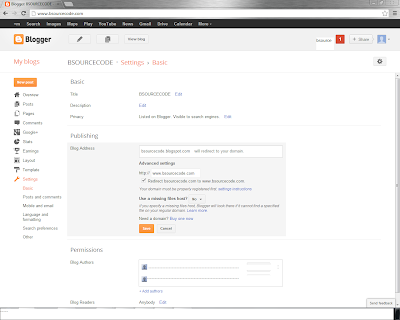 This tutorial will help you to transfer your bigrock domain to blogger domain. It is very easy. Here in this tutorial it is explained step by step. It is my experience When i tried to transfer. Step 1 to Step 10 For new domain Register. 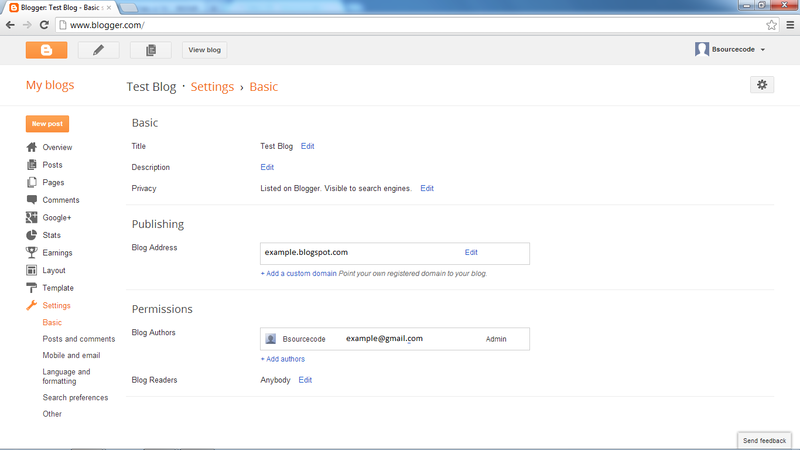 Step 2: Click on the Settings->Basic. 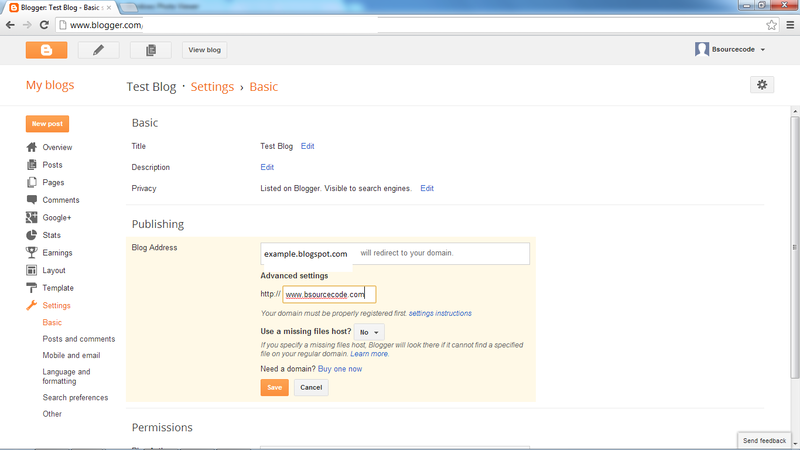 Now you will get all the blogger settings details. Now you can see the your blog address with Publishing heading. Here you will see the +Add a custom domain link. 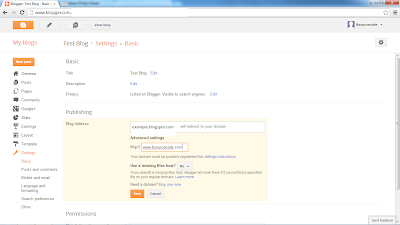 Using this link to add custom domain to your blogger. 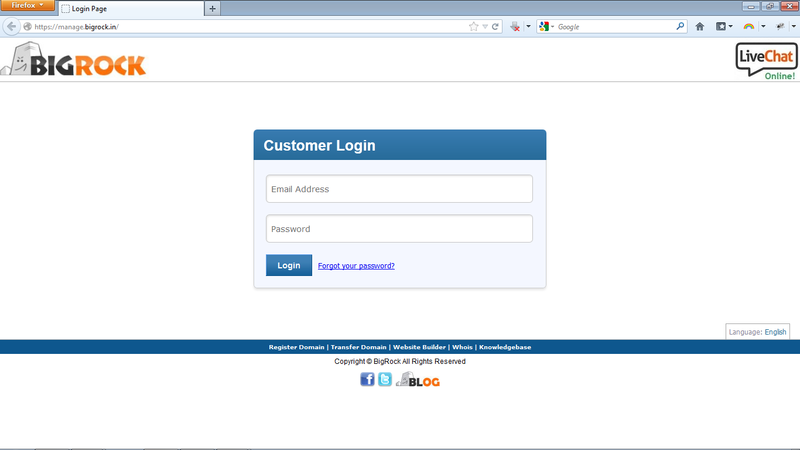 Step 3: When you click on Add a custom domain link, You will get more details to update the domain. There will be option “Already own a domain? Switch to advanced settings”, Click on this link. Step 4: Now you will get a text box to add your bigrock domain. Enter your domain name (www.example.com) and click on Save button. You will get the error message "We have not been able to verify your authority to this domain. Error..." and there will be two hostname, destination values from google. 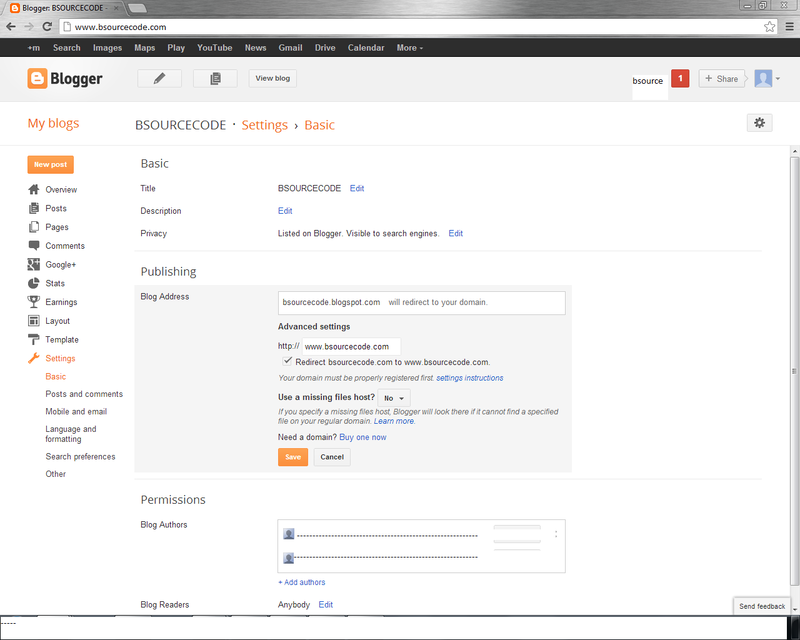 When you update this value into your bigrock account, Your bigrock domain will be set to the blogger. 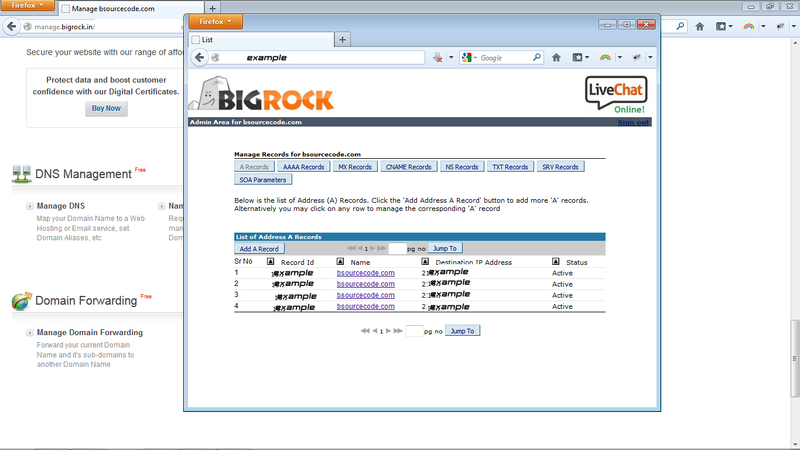 Step 5: Login into your bigrock account. Click the domain form your domain name list. 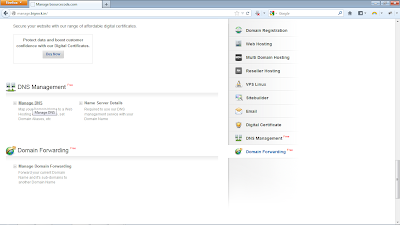 Step 6: Goto to the DNS Management settings. Click on the Manage DNS. 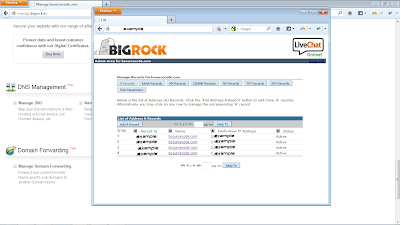 Now you will get new window for domain records. step7, step8 are common for all user. 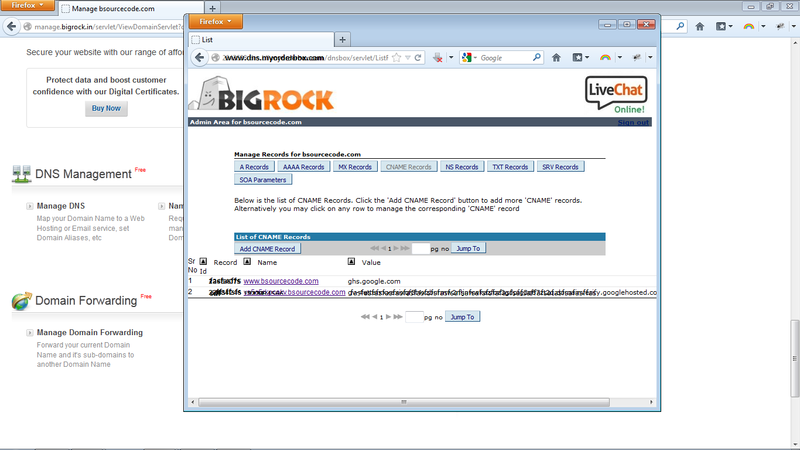 Step 9: Like step 8 Add another CName Records in bigrock. 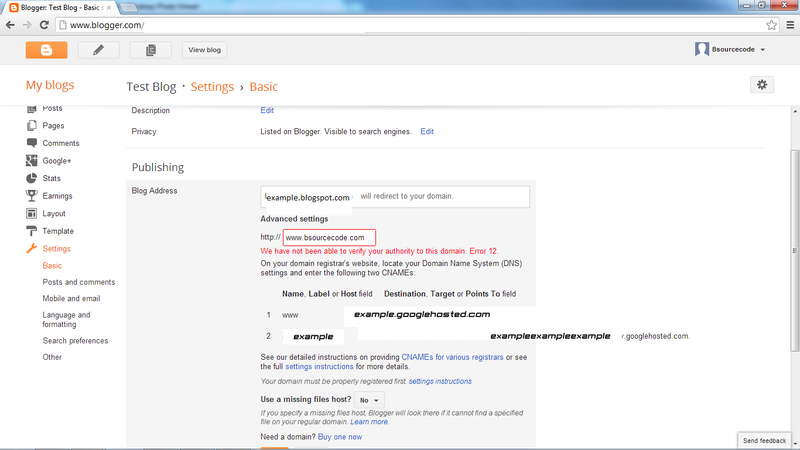 In STEP 4 process you got two values from google for your domain. We have entered first value in STEP8. 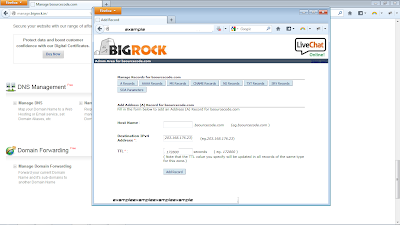 Following STEP8 We have to enter second value(Host Name, Value) and add into bigrock CName Records. 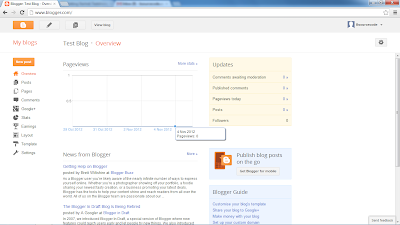 Step 10: Now goto blogger STEP 4 and click Save button. 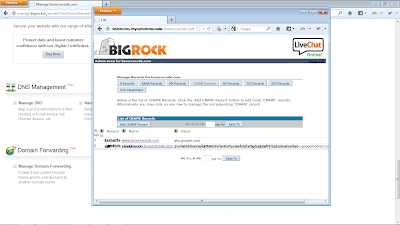 Now your blogger domain will transfer to your BIGROCK domain. 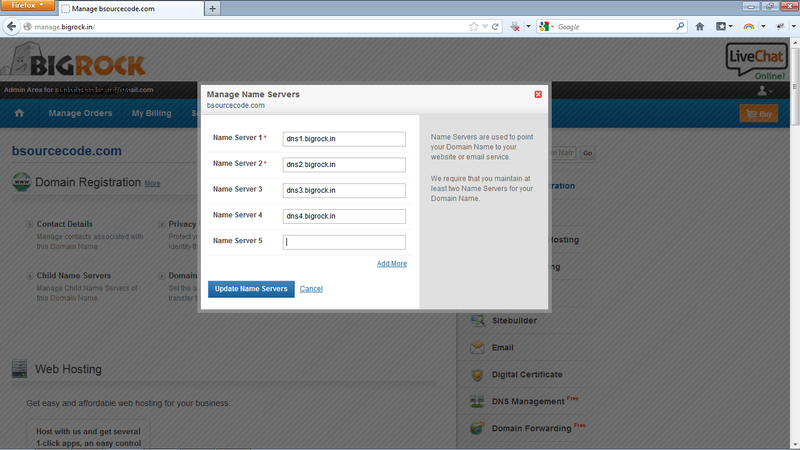 Step 11: If you already mapped your domain to other servers like Hostgator, Speedhost etc, Please click the Name Servers ( IN STEP 6 PAGE). 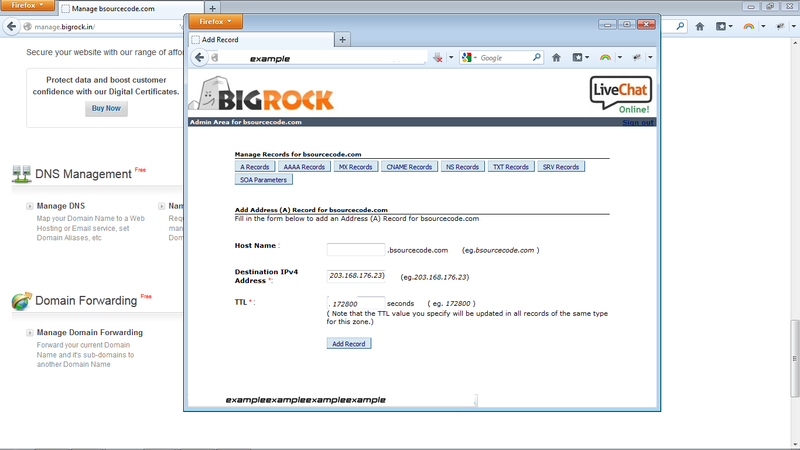 Then remove the existing server details and update bigrock Name Servers details. Now everything will working fine. ENJOY!!! Thank you very much sir. 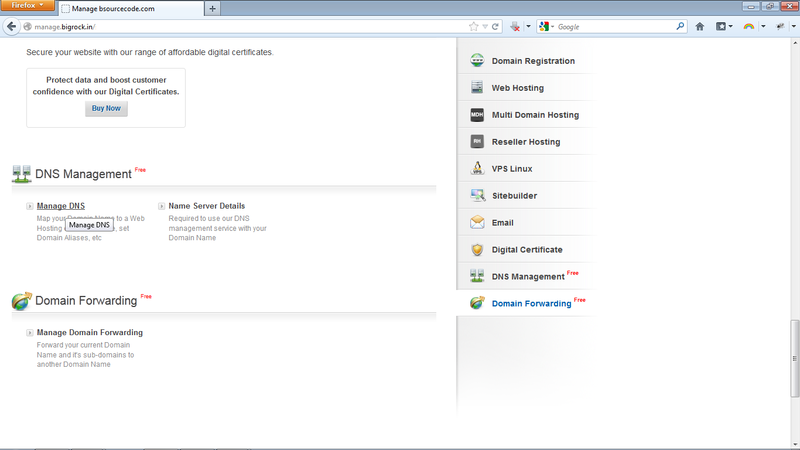 After setting all this my domain and then it is saying that “host name look up failed” What to do now ?